Over a few beers, Tim Obert’s friend from college, Clint, told him that whiskey is actually made from cheap beer. 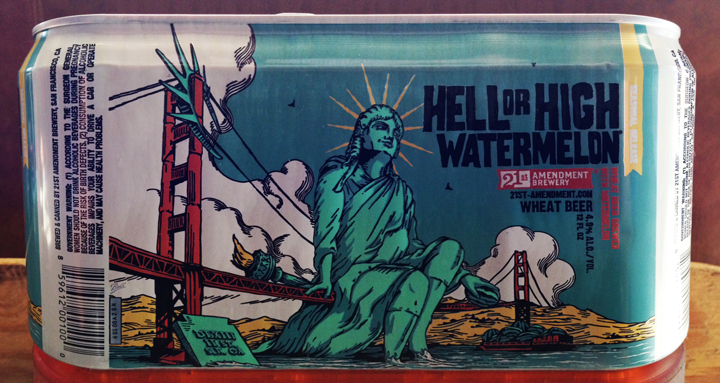 They got to thinking, why not make whiskey from high-quality craft beer? Thus was born Seven Stills of SF, in San Francisco, California. To make whiskey from beer, they increase the temperature of beer to evaporate ethanol. The gaseous ethanol is then cooled to condense it back into a liquid. Different temperatures and different points in the process evaporate different material and different quality flavor. Clint contributed the money he had saved for grad school, Tim pitched in a portion of his life savings, and they started Seven Stills of SF. 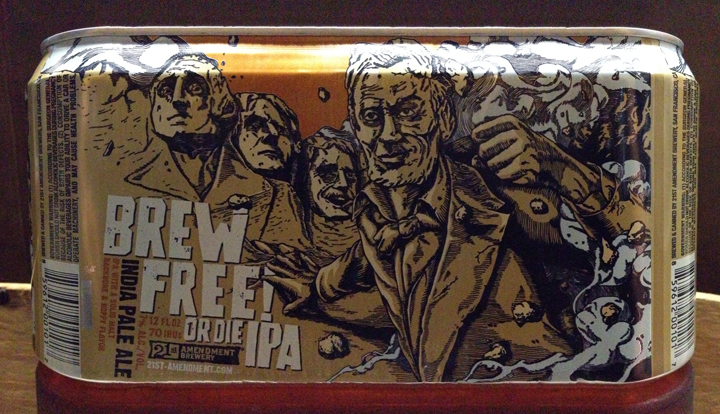 For 2 years, they had a contract brewery make the beer. Then they had a contract distillery use the craft beer to make whiskey. Seven Stills of SF currently produces about 120 cases of whiskey per month. They’re trying to increase production by 8 times. They will be able to do it, now that they have their own 15-BBL brewhouse with fermenters and bright tanks. And they recently bought the largest still in San Francisco, a 300-gallon pot still. They also have an entirely other line of vodka and bitters. Whereas whiskey is made from various grains, vodka is made from corn. Most of their bitters are made from vodka. With so much expansion and growth, Tim says one thing he wishes he would have done differently was taken on investors sooner. Size and quantity of fermentation tanks: 2, 15-BBL fermenters. Size and quantity of bright tanks: 2, 15-BBL bright tanks. Annual brewing capacity/last year’s production: 3,120 BBL/year of beer. 4,836 gallons/year of whiskey. Square footage: 4,400 sq. ft.
Years in operation: 2 years (opened August 2013). From Jimmy Batte: What’s the best advice you have been given or have to give since operating a brewery? Alt Whiskeys: Alternative Whiskey Recipes and Distilling Techniques for the Adventurous Craft Distiller by Darek Bell, Amy Lee Bell, and Pete Rodman. The Startup Playbook: Secrets of the Fastest-Growing Startups from Their Founding Entrepreneurs by David Kidder. Raising the Bar: Integrity and Passion in Life and Business: The Story of Clif Bar Inc. by Gary Erickson. Mission in a Bottle: The Honest Guide to Doing Business Differently–and Succeeding by Seth Goldman and Barry Nalebuff. Whiskey Informer, whiskey reviews, whisky reviews, and whiskey-like products. Anchor Distilling Company, San Francisco, California. Distillery No. 209, San Francisco, California. Alamanac Beer Co., San Francisco, California. Hermitage Brewing Company, San Jose, California. The Bruery, Orange County, California. Sante Adairius Rustic Ales, Capitola, California. California’s 10 Best Breweries, Symmetry50, February 11, 2015. Russian River Brewing Co., Santa Rosa, California. Snake Bite, TW Pitcher’s Brewing Company, Saint Helena, California. businessadvising.org, volunteer business advisors, mentors, and concultants. Corsair Artisan Distillery, Nashville, Tennessee. Future directions for brewers – Go gluten free, DSM. David Olsen dives into things all the way. He decided that he wanted to homebrew, so he read about 15 books and took some short classes at UC Davis. Within 6 months he was winning awards at homebrewing competitions. He started Craft Artisan Ales, in Pacific Grove, California, with contract brewing because it was an easier barrier to entry. “Even to get like a 7-BBL system going, you’re going to need at least a half-million dollars,” estimates David. “Then you have the labor, the insurance, the overhead, the space, the lease, all those other factors that go into it. Spend a lot of time working on one single beer, then develop other recipes from there. Take some brewing classes, even weekend classes or 2-week classes. Be super careful about sanitation and temperature control. 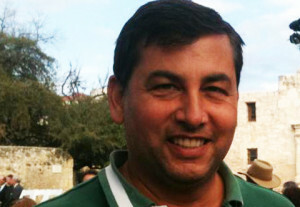 He pushed the local angle in his products by using local names and themes. Friends who owned restaurants agreed to carry his beer on tap. The owner of the homebrew store helped make other connections. He put samples in a cooler pack and walked into stores to talk to the manager. He provided a sample, sales sheet, and business card everywhere he went. Contract brewing is a much easier way to enter the craft beer market. The cost is a tiny fraction of what it costs to open your brewery. The time that you would have spent brewing can be spent marketing, delivering product, nurturing relationships, and all the other things required when you own your own brewery. Kettle size: 25-BBL contract facility. Size and quantity of fermentation tanks: 25-, 50-, and 100-BBL tanks available. Size and quantity of bright tanks: Same. Annual brewing capacity/last year’s production: Capacity is 15-20K BBL for the contract facility. Last year Craft Artisan Ales produced about 1,000 BBL. Square footage: 80,000 sq. ft. at the contract facility. Years in operation: 18 months (opened February 2014). From The Beer Sommelier: What is your exit plan? Pizza: More than 60 Recipes for Delicious Homemade Pizza by Diane Morgan and Tony Gemignani. Beer Exam School, free study resources for Cicerone® Certified Beer Server. 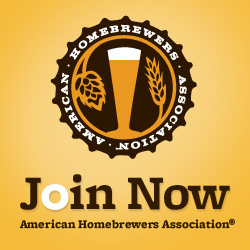 Communicating Craft, marketing & advertising resources from Brewers Association. Tony Gemignani’s International School of Pizza, San Francisco. History of the Salinas Brewery, Brewery Gems, breweriana and brewery histories. Have You Ever Thought that You’d Like to Open a Microbrewery? Through connecting with the MicroBrewr community and doing the weekly podcast, I’ve been lucky to talk with so many amazing people who are looking to turn their dreams into a reality and open a microbrewery. The thought of leaving the 9-5 and going on your own path is an adventure that sounds like a dream come true. Being able to leave the office behind to brew and drink beer all day, what could be better? Well, we don’t want to kill anybody’s dreams but there is a lot more work that comes when you open a microbrewery than just brewing and drinking beer. In this podcast, we’ll go through the typical life of a brewer to try to give a good perspective on what to expect if you do take that next step to open a microbrewery. 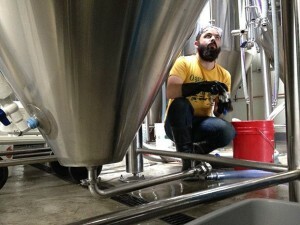 Collin McDonnell is one of the three founders of Henhouse Brewing Company. HenHouse started selling beer two years ago and over that time have been raising money to quit their jobs to go at it full time. One reason why I really wanted to talk to Collin is that he wrote a great article on the “real life” of working in the brewery where he was very transparent on the not so exciting parts of running the business day to day. As we went through the podcast, you can tell that Collin’s focus on the details comes from a passion that HenHouse puts into their beer to make sure they are making a quality product that they can be proud of. Are You Enjoying the MicroBrewr Podcast? If you like this podcast on what it’s like to open a microbrewery, I would really appreciate it if you would give me a rating in iTunes to help spread the word about the podcast. All you need to do is search for MicroBrewr in the iTunes store or you can use link this link here (then just click “View in iTunes”). Giving a rating in iTunes will continue to push the podcast up in the rankings which help get the podcast into the ears of more people. Thanks in advance! MicroBrewr 022: Expanding to… India!, with Arbor Brewing Company Brewpub in Ann Arbor, Michigan. We Made It To Podcast #2 (I’m going to have a beer to celebrate)! First off, I have to say thanks for the amazing support and feedback that we’ve got for the MicroBrewr site and the podcast. 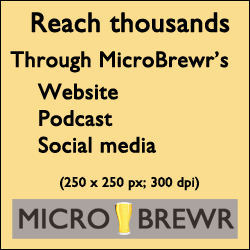 In just the first week of having the site up, MicroBrewr has already had over 25,000 visitors. I’ve been able to talk to so many people who are thinking of taking the plunge into starting their own brewery (or who already have) and it’s no lie that the craft beer community is awesome! If you want to subscribe to the MicroBrewr podcast instead of listening to it on the site, the podcast is now up on both iTunes and Stitcher which you can find by just searching for MicroBrewr in either program. In the second podcast, I had the pleasure of talking with Eugene Simor from Alamo Beer Company. One of the reasons that I wanted to talk with Eugene is that he’s taken a different approach to getting into the craft beer industry by using his flagship beer, Alamo Golden Ale to build his brand. Up to this point, Eugene has used contract brewing (“kind-of”) to brew Alamo Golden Ale and is currently in the process of planning his own brewery. With his 10+ years already selling his beer, Eugene has proven his brand (which helped him get a $5 million SBA approved loan for his brewery) and has a ton of great information to share. Make sure to pick up some Alamo Golden Ale to give back to Eugene for sharing all of the knowledge that he has gained starting up Alamo Beer Company! Here’s some of the links to find out more about Eugene and Alamo. MicroBrewr 019: Marketing a flagship beer with Roswell aliens, with Sierra Blanca Brewing Company in Moriarty, New Mexico.